Awesome beautiful property and front desk girl. Will go back. I hated the resort fee. It was of no value whatsoever to me; I view it as a gouge, and resented having to pay it. Where to find Palm Beach Shores hotels near an airport? Where can I find hotels in Palm Beach Shores that are near tourist attractions? Hotel and apartment choices are many and varied in Palm Beach Shores. Our database lists 54 hotel and apartment options within a 0.1-kilometre (0.06-mile) distance of Palm Beach Shores' heart. Within a 1-kilometre (0.6-mile) radius of Palm Beach Shores' heart, travelers can choose from a selection of Expedia-listed accommodation options, such as the Marriott's Ocean Pointe and Palm Beach Shores Resort and Vacation Villas. You could investigate the The Breakers Palm Beach and the Four Seasons Resort Palm Beach. The The Breakers Palm Beach is positioned 7 kilometres (4 miles) from the main part of Palm Beach Shores. The Four Seasons Resort Palm Beach, is located 18 kilometres (11 miles) away. 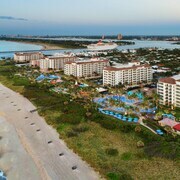 The Eau Palm Beach Resort & Spa as well as the Palm Beach Marriott Singer Island Beach Resort & Spa are some other accommodation options worth checking out in Palm Beach Shores. Looking to venture a bit further afield? South Florida offers many attractions. South Florida is known for beaches and everglades, and commonly visited South Florida attractions include lighthouses. Locals and visitors alike in this part of United States of America can enjoy hiking. Spend a few hours exploring Jupiter Inlet Lighthouse and Jupiter Beach, which you'll find in Jupiter, 18 kilometres (11 miles) to the north of Palm Beach Shores. If you'd like to visit Jupiter, check Expedia's booking pages for the latest deals at the Jupiter Beach Resort & Spa and Jupiter Waterfront Inn. 50 kilometres (30 miles) to the south of Palm Beach Shores, you may also choose to stay at Boca Raton, home to the Boca Beach Club, A Waldorf Astoria Resort and Boca Raton Resort and Club - A Waldorf Astoria Resort. Regardless of whether you're passing through or spending a few nights in Boca Raton, be sure to check out the Florida Atlantic University and Mizner Park. Before you leave Palm Beach - West Palm Beach, make sure you catch some sport. Visit Sun Life Stadium to the south of Palm Beach Shores. For travelers who are keen on staying close by, make a reservation in the Stadium Hotel or Rodeway Inn Miami. Palm Beach International Airport is a nearby airport for flying into and leaving Palm Beach Shores. It is 11 kilometres (7 miles) away. If you would like to stay nearby, try the Casa Grandview or Marriott West Palm Beach Hotel. What are the most popular Palm Beach Shores hotels? Luxury The Whole Family Will Enjoy! Welcome to Your Private Beach! 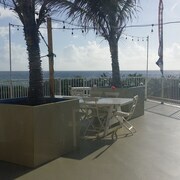 Are there hotels in other cities near Palm Beach Shores? What other types of accommodations are available in Palm Beach Shores? Explore Palm Beach Shores with Expedia.ca’s Travel Guides to find the best flights, cars, holiday packages and more!